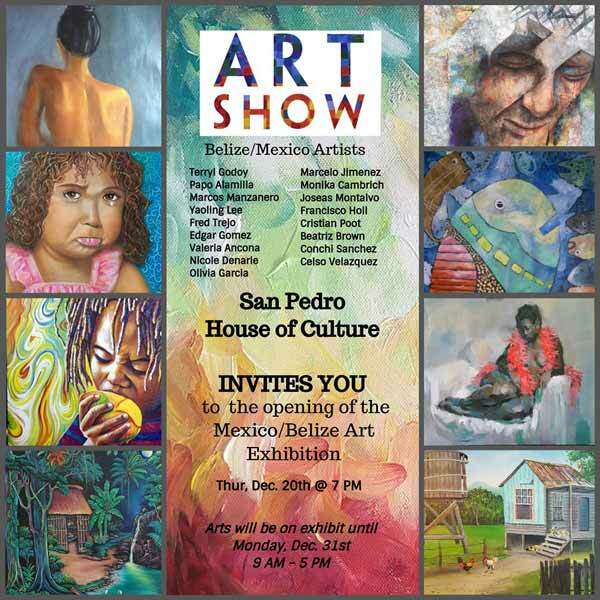 The San Pedro House of Culture has the pleasure to invite you to the opening of the Mexico/Belize Art Exhibition on Thursday, December 20th at 7:00 PM. Be socialble & share invitation with family, friends and colleagues. The National Institute of Culture and History (NICH) through the Museum of Belize and the San Pedro House of Culture has the pleasure of inviting you to the opening of the Belize/Mexico Art Exhibition on Thursday, December 20th at 7 PM. Live Music will be provided by Man @ Work and the Mariachi group. We look forward to your joining us and supporting the talented Belizean and Mexican artists who's works will be on display. The Art Show will run until December 31st. The San Pedro House of Culture (SPHC) held a Belize/Mexico Art Exhibition on Thursday, December 20th. The exhibit featured art work from Terryl Godoy, Papo Alamilla, Marcos Manzanero, Yaoling Lee, Fred Trejo, Edgar Gomez, Valeria Ancona, Nicole Denarle, Olivia Garcia from Belize and Marcelo Jimenez, Monika Cambrich, Joseas Montalvo, Francisco Holl, Christian Poot, Beatriz Brown, Conchi Sanchez and Celso Vasquez from Mexico. The art exhibit opened at 7PM, with attendees feasting their eyes on beautiful paintings while enjoying delicious appetizers and live music by San Pedro’s musician Terryl Godoy. The various artworks ranged from beaches to forests, animals, cultural scenes and even famous island areas. 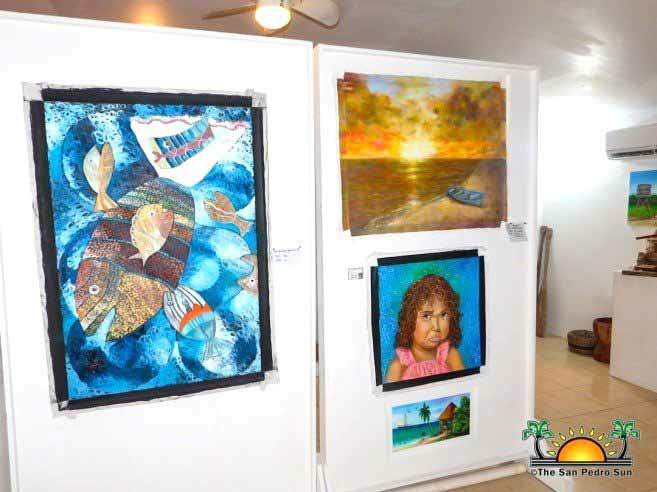 Both Belizeans and Mexican artists surely filled the SPHC display room with colorful, dramatic and bold masterpieces.